This is a story of the Wild West. Not in the traditional sense but with plenty of explosives, bad guys and disputes to make it a classic tale. 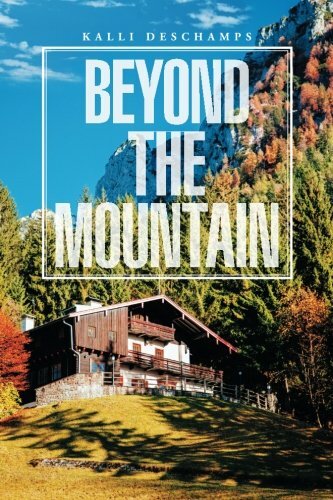 Author, Kalli Deschamps, selects Laura Lanvin as her brave main character and storyteller in “Beyond the Mountain.” As co-owner of a sprawling Montana ranch, Linda recounts the summer of thrills and suspense she and her husband experience in their mountain wilderness. Family land rights and a greedy occupancy wrangle lead to menacing conflicts that threaten the couple’s safety. Despite local law force intervention, the situation flares as Linda and her husband Greg strive to maintain their way of life and cattle raising business in their treasured mountain homestead. The premise is a good one and I enjoyed wondering what would become of the characters and their situation. The plotline develops gradually, feels authentic and flows clearly. The dilemmas faced are compelling and believable as the author does an outstanding job of placing the circumstances and arranging the sequence of events. Particularly engrossing is the predicament they find themselves in when 20 head of steer fall sick at the same time. While there is sufficient description to paint the scenes, this story’s short 74 pages are not sufficient to develop a convincing narrative. The tragedy that befalls Deschamps’ characters is worthy of more depth and content. I wanted to feel a greater connection to Linda, her husband and the two ranch hands/officers who guard them. Through her stories, Linda attempts to relay her history and the personalities of her family by sharing her experiences, but the recitation feels simulated and detached. Ironically, it is in Linda’s tale telling that the feeling gets lost. If the same effort were applied to allow the characters to manifest themselves, I believe the novel would be more effective. If you love stories of the west and enjoy learning about ranch life, you will find this an interesting read. It certainly provides a taste of adventure living and puts you in the mood for a quiet place by the campfire. In its picture-perfect setting, living “Beyond the Mountain” by Kalli Deschamps is a cowboy’s dream come true.